The kids are back in school this week and while I haven't been counting down the hours 'til the kids go back to school, I have to admit that I have a lot more time to think all of a sudden. And when I have time to think, I often think about projects I'd like to make for myself that maybe I put on hold a couple of months ago when the kids were just getting out of school. The weeks just following kids returning to school is always quite a busy time in the print room at Spoonflower, so I think this must be a pretty common scenario for a lot of you, too! I've run across a beautiful line of women's clothing patterns recently that have jumped to the top of my sewing to-do list. Sewaholic patterns are created by Vancouver based Tasia and billed as "sewing patterns for the modern seamstress," and I want to make almost every single one of them for myself now. (It's not too late to make a bare shoulder sundress, right?) You can ogle many pretty versions of all of Tasia's Sewaholic patterns in her Flickr pool. Like this version of the Cambie dress. Or this very pretty Alma blouse. Love. If you want to try your hand at a brand-new Sewaholic pattern, just enter this week's drawing! We're giving away one Sewaholic pattern of your choosing plus 4 yards of any Spoonflower fabric to make it up in. To enter, just leave your comment here or on the corresponding Facebook post, and let us know which of the Sewaholic patterns you'd like if you're our winner. Please don't forget to include your Spoonflower screen name or some other means of tracking you down easily in case you win. Entries close next Tuesday, 9/4 at 7pm EST and we'll announce a winner on 9/5. Good luck, modern seamstresses! This giveaway is now closed and we'll be announcing a winner shortly. Last week, we gave away a copy of Lunch Bags! plus two types of interfacing, Insul-Fleece, and regular fusible fleece to aid in your lunch bag-making projects. The winner was Lori Claflin in Massachusetts. Congrats, Lori! This is so hard to choose, but I think if I had my pick it would be the Cambie Dress. I would have a field day picking out some spoonflower fabric to make it out of. I actually have a wedding to go to in early November that it could be worn to. Sign me up!!!!! I like three patterns- the Lonsdale dress, the alma blouse and the renfrew top. I think I’d wear the renfrew top the most here in Northern CA but I’m scared of knits. She did say that it would be a good pattern for those who are scared of knits. Maybe. Thanks for the giveaway. erincode@metzlers.org, ejmetz on spoonflower. I’d choose the cambie dress… I’ve no idea which fabric I would pick there are far too many lovely ones! the Cambie dress is lovely! i’d like to make one for every day of the week! I have just started to sew, I would love to see if I could make a skirt or a cute shirt with your patterns. I would choose the Alma blouse – hard choice! I was just looking at her patterns recently! I love the minoru jacket. My spoonflower screen name is missbrianna. I have been seeing the Alma blouse around the sewing blog world, and would love to try it out! I am fourthmonth on Spoonflower, or you can hit me via Twitter. 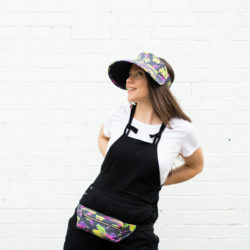 I would LOVE some new patterns to try out! Hard choice, but I love the cambie dress! Which pattern is easy — 1101 Crecent skirt, which fabric — there are SO many that I absolutely love! I like the 1021 Renfrew top! I like the Alma shirt! LOVE the Minoru jacket – will have to try this one! Love the Cambie Dress. Thanks for the chance to win! I love the Cambie dress! Such a class style, but I would jazz it up by choosing a retro wild Spoonflower print! I vote for Alma, very cute. Ooh, I’d love the Renfrew pattern. I would love to make the Crescent skirt for my daughter in a fun splashy print! I love, love, LOVE the Minoru jacket. That would be perfect for me! The Cambie dress is so cute! I would love to make that! I have long wanted to try the Renfrew top! So perfect! malora at the gmail please! Aahh these are great patterns! My faves in giveaways so far! I love the Renfrew top pattern —- the possibilities!! Would be grandioso to win this! I really like the Minoru Jacket, but just got a similar jacket for a Christmas present last year so I guess I would choose the Renfrew Top. You can never have too many tops and this one has so many options! With all the fabrics to choose from on Spoonflower, I could make a lot of tops with this one pattern and no one would ever know they all came from one pattern!! I love them all but I suppose if I had to choose just one it’d be the Minoru Jacket! So cute! While I’ve been eyeing Minoru, I think I’d go with Cambie and make it up to wear to my brother’s wedding. I would love the Thurlow trousers because they will fit my shape. The Minoru jacket looks amazing too! I love the cambie dress. The Alma blouse ! So cute and versatile. I would love the Crescent Skirt pattern. It’s so cute! I love the Minoru jacket, and the Cambie dress… that would be a hard decision to make! I would do the Crescent Skirt – love the yolk and then the gathered skirt and POCKETS! I’d love the Cambie dress patern! I’m so excited to discover these two fab websites, not sure we have anything like this in the UK!? I’m a newbie at sewing too so creative juices are flowing! lemonadefish wants to make a Cambie dress! Oh my they are simply divine! i’d def LOVE to make 1102, how exciting!!! The Cambie Dress is adorable!! Oooh, they all look great but I’d probably have to go with the weekend jacket (1103 which looks amazing! That Lonsdale dress is way gorgeous. I believe I’d go with the 1201 Renfrew Top pattern, though I really like the Cambie Dress too. I love the minoru jacket! My screen name is oliversfancy. I’m completely torn between the two dresses! Cambie and Lonsdale are *amazing* and I feel that since I live in SoCal, I can wear all the dresses all the time forever, right? Right. I’m keen to try the Thurlow Trousers pattern. I’d love to sew a dress using the Cambie pattern! 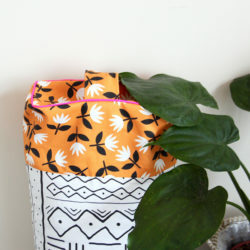 Of course I’d love to choose fabric from Spoonflower! Thanks for the giveaway! The Alma blouse looks like it would be a great way for me to add to my work clothes collection. I love all of Tasia’s designs! My current favorites are the Lonsdale Dress and the Alma Blouse. I definitely need some new tees. http://www.sewaholicpatterns.com/product/1001-pendrell-blouse I love this shirt. My spoonflower screen name is lynaeve. Thanks for the chance! I love the Alma Blouse – pretty!! I love the Cambie Dress! I’m having a hard time deciding between the Cambie dress and the Cambie top. Both would be SO GOOD for my working wardrobe. I definitly would love to win a terrific dress pattern! I love the look of the Minoru Jacket! And a hidden hood…. perfect! I love that Minoru Jacket! HELLO! I really like the ‘Pendrell’ pattern! Thanks so for sharing a sweet giveaway! Oh, I’d love a Renfrew pattern – love to sew with knits and would love to give it a try! Definitely the 1102 Lonsdale Dress – summer is coming in, and I have dresses to make! I’ve wanted to make the Minoru jacket for ever! And with fabric from Spoonflower? It’s be so awesome!! My Spoonflower ID is the same as my name here! I’d love 1101 Crescent Skirt, I’ve been wanting to wear more skirts, and I love that this pattern has some structure and POCKETS. Ooooh! Yummy yummy patterns!! I’ll go for the Lonsdale Dress.. And what am I going to do with 4 yards of Spoonflower fabric? Gosh. I’m going to start hoping and willing, right now! the alma blouse, it would go with so many of my work cloths. The 1202 Cambie Dress, please! Would love to try the Minoru Jacket! If I won I’d love to have the 1201 Renfrew Top pattern. It looks very versatile! I am LOVING the Cambie Dress design! please please please, it’s just hitting spring in Australia! I absolutely love the lonsdale dress, and I already know the fabric I would use!!! Those patterns do look modern! I love skirts and dresses and they look great. I love #1204 – very nice! april (dot) chase (at) gmail dot com. Tough choice, but I think I would want to try the trousers. I like the Pendrell blouse pattern. I’m torn between the Minoru Jacket and the Cambie Dress. So cute! I would love to win the Crescent Skirt pattern. I would *love* the Cambie dress. It’s so cute! The Cambie dress is beautiful! So hard to choose but the Renfrew pattern. I would love to sew up the Alma blouse. Always looking for cute tops to wear to work! I love the Minoru jacket. So cute! 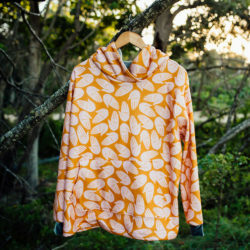 I could use some knit tops so I would love to win the Renfrew Top Pattern. Thanks for the chance! I would love to win a tops or dress pattern to sew for my wardrobe! I’d love the Alma blouse. Thanks for the giveaway! I like the Thurlow trousers pattern, I would chose this pattern. I think I like the Cambie dress….though I haven’t made clothes in a long while. I just received my first piece of fabric from you…amazing! Thank you so much! I love the Cambie dress…and would go crazy trying to choose between all of the amazing fabric designs you have to make it in! I would definitely go for the Minoru jacket! I love the construction and the collar. I would love the Thurlow Trousers!!! The Cambie dress is so cute! Crescent Skirt Pattern for sure! I adore the Renfrew cowl top, it would be so nice for when the nights start cooling down- maybe in a retro floral in autumnal colors. Thanks for introducing me to Sewaholic- such classy and fun patterns! Love these patterns. I would make either the crescent skirt or the cambie dress. spoonflower id darnett Thanks so much for this contest. Love it!!! I love the jacket pattern. That would be a perfect Fall jacket. I ‘sew’ want to win this! I love both the Alma blouse and the Cambie dress! The Alma Blouse is adorable. I really like the Cambie dress – a lovely pattern! I’d choose the Lonsdale pattern along with chemistrylab from nocodazole. I love the 1204 Blouse pattern! Adorable! I love the Cambie dress pattern. i have been eying that new Alma pattern! Definitely the Pendrell Blouse! So timeless and so cute! I’d love to try the Thurlow trousers pattern. Hard to choose but I would loved to have a go at making the Cambie Dress. Oh yes! Definitely the Cambie dress. Fabric? That’s a tough question but I will have fun searching! I want to make the Alma blouse! (colvinh) Thanks for the giveaway!! Definitely would love to make the Alma Blouse. So cute and all options are so different and adorable! I love all those patterns, but it woudld be the Thurlow Trousers pattern for me! Yummy! Pattern 1102 and Spoonflower fabric! Oh, I love the Minoru Jacket!!! That would be perfect for our no-so-cold south Louisiana weather! I would love to try some new patterns. I love to sew and 4 yards of any fabric would be awesome! As a ‘middle aged’ woman’ with a fuller figure, I would LOVE to sew up the Thurlow Trousers!! Have NEVER had a pr of pants fit off the rack!!! I’d love to try making the Cambie Dress for both of my sisters! I’d love the Cambie Dress..what a great style that could be worn every day or even dress it up with a shawl for an evening out. I love the Pendrell blouse! I would love the Cambie Dress. The Renfrew pattern looks wonderful! Perfect for making lots of basic everyday tops. I’d pick the Thurlow Trousers pattern, picking the right print and fabric is going to take a while though. I’d love to try the Pendrell Blouse – such a versatile pattern! Oh, so hard to choose! I LOVE the Lonsdale dress, but have to go for the Cambie – I love sweetheart necklines and the shape is so flattering for a fuller figure. Perfect for the hot, humid weather over here in Penang, too… Choosing a Spoonflower print to make it from will take even longer! OK, just found the fabric, too! Perfect for the 50s style Cambie! 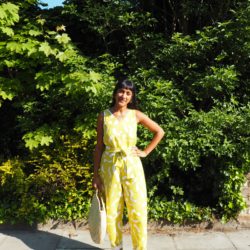 I’d choose the Thurlow trousers – I have so much trouble with trousers to fit my curves! My Spoonflower name is ‘captainstitchypants’. The Alma blouse is really cute!I would pick that one! First choice would be the Pendrell Blouse. I was thinking the Lonslade Dress would love great to make! thank you! I love the Lonsdale Dress! It would look fantastic in a cute flower print! Wow, it’s so hard to choose! But I’d have to go with the Crescent Skirt. Really, very tough to choose just one! The renfrew pattern is my first choice! I tested the Cambie Dress pattern and it was a dream. I’d love to try Alma! I love the crescent skirt. So cute and I always appreciate pockets! I’d love to learn how to make a good pair of pants! I like the Alma blouse. The fact that it is so customizable is really a plus! I’d like the Lonsdale Dress. I’ve been wanting that cambie dress pattern for *ages*!! I love it! I love the lines of the Cambie dress! So cute. What a nice group of patterns. Would love to win any one of the designs. Have gone through 2 unexpected operations recently and am dropping weight quickly. New wardrobe time! Went it comes to Spoonflower material choice -what a picnic to choose from. Such fun! Hope I win! Best giveaway ever!!! I would love the Cambie pattern!! thanks so much! Definitely the Alma Blouse! My sister just got a promotion, and a new work shirt would make an excellent gift for her. It may be the first day of spring [checks calendar – okay, the second day] but I would love to make the Minoru Jacket. I do love jackets and coats. I’d have to go with the Minoru. I would pick the cambie pattern. I love the minoru jacket. thanks for the giveaway! I’m ananemone on spoonflower and on etsy. I love the Minoru jacket! I would have to choose the cambie dress pattern.